For instance, it is not surprising that the legislative chamber with the most followers is the Canadian Senate given that it represents citizens from the entire country. However, the Library of the National Assembly of Quebec actually has far more followers than the Federal Library of Parliament, despite the former’s account having been created first. Similarly, the account for the Legislative Assembly of PEI (Canada’s smallest province) was created six months after that for the Legislative Assembly of Saskatchewan (which has eight times as many people), yet the PEI account has produced over three times as many tweets and has nearly the same number of followers. It is possible those with more legislatures followers have simply gone out of their way to build their online presence. However, these variations suggest that differences in the content provided and frequency of posts may lead to different levels of interest from the public. 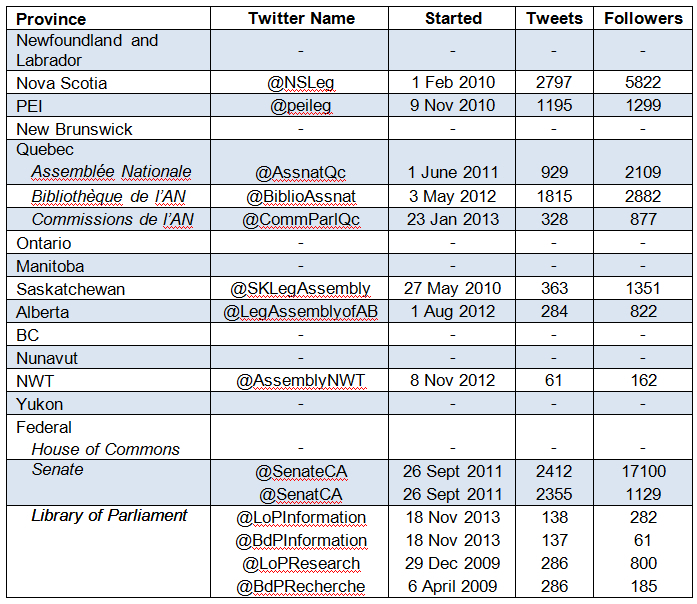 Also notable is the extent to which the twitter accounts of Canada’s legislatures reflect the country’s language dynamics. In keeping with the officially bilingual status of the federal parliament, both the Senate and the Federal Library of Parliament tweet in both official languages. However, no provincial or territorial legislature maintains an account in a second language. This choice is somewhat unexpected given that legislatures of the Northwest Territories, Nova Scotia, Quebec, and Saskatchewan all maintain at least partially bilingual websites. 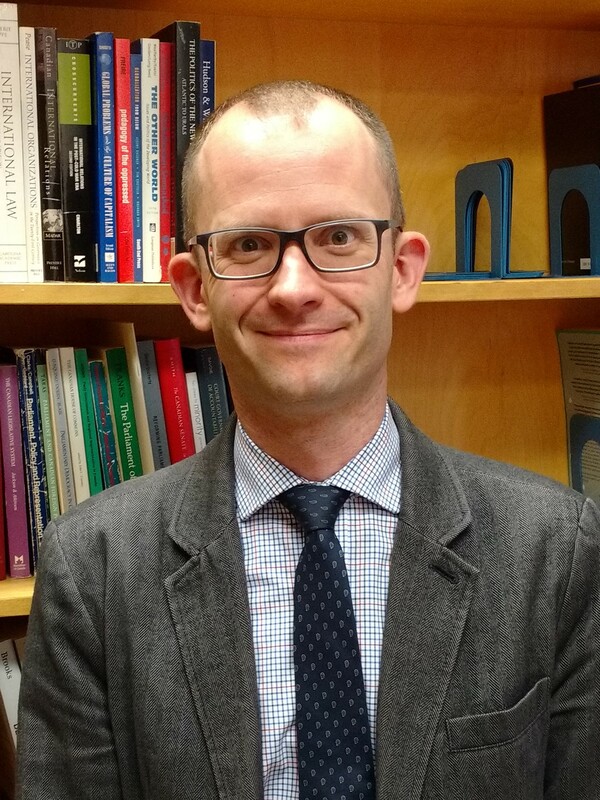 It is also possible that the perceived need to provide bilingual – or in the case of Nunavut trilingual – twitter feeds might be keeping some jurisdictions from joining twitter given the resources that would be consumed. Overall, the social media activities of Canada’s legislatures would appear to be ripe for further study. In particular, it would be interesting to see what prompted those engaged to start tweeting, and also why others have opted to stay on the sidelines. More important though is the need to explore whether the presence of such a feed makes a notable difference in citizens’ awareness and engagement with politics. Update: It turns out that the Legislative Assembly of Ontario (or at least part of it) does tweet after all! The Assembly’s Education Program has the twitter account @ONPARLeducation, which posts in both official languages to promote its programs and raise awareness of the legislature’s history. See the correction post for more details.